"Totara feedback from LMS admin and partner perspective"
Being open source, Totara has the ability to be tailored to suit numerous business needs. This is great as every organisation has their own roadmaps and is at different stages in their journey through integrating digital learning. It also allows Totara to be integrated with other/existing systems which increases its capabilities even further. Understand the open-source component and stay engaged with the Totara roadmaps so that you have an understanding of the versions and features to come and integrate this with your internal roadmaps and plans. Use the online resources e.g. Totara Academy, documentation. Know that your LMS is forever a work-in-progress - it's continually improving and developing, as are your learners and site administrators. I'm continually learning something new about Totara everyday. Totara has also been the main platform for major change management projects as it enabled housing of eLearning modules and other digital resources; as well as user-tailored Dashboards to prescribe specific impact resources to individual users in various parts of the business. "Incredible OPEN SOURCE eLearning Platform"
Totara Learn is UNIQUE as an Open Source method of eLearning for Employees, with EXTREME flexibility as far as the features for Employers, Employees, and Clients in the Business world so that the software can be updated as needed to suit the needs of all involved. Totara Learn is still a bit outdated as far as the design and certain foundational aspects that resemble Moodle. It should also provide a FULL "Roadmap" or even a Manual/Guide that can really walk Users through every area for those who less tech savvy. Just make sure that you use the Demo they Offer on their site and that you really take the time to research other platforms and compare them with Totara. An obvious and HUGE benefit is the fact that Totara Learn is FREE. Additionally, it is OPEN SOURCE, which saves money, time, energy, and it includes SO many features and functionalities that are already built-in for Employees to more easily navigate any updated or modified Resources from an Employer, without needing to open or purchase numerous other computer applications. One common problem for Business is the need to do even minor coding work to allow Employers to make adjustments so Totara configurations are fairly easy and do not require any coding knowledge. Finally, the support offered by the site, in addition to the Users Community, are great resources and can help immensely when another User has had to handle the same or a similar issue. "BuildEmpire Review: We love the extensibility of Totara Learn!" Totara Learn is great for getting clients up and running with an advanced Learning Management System quickly. At BuildEmpire, we build custom solutions for our clients, and the fact that Totara Learn has some amazing features already means we can take the technology even further - in considerably less time than starting from scratch. Examples of features we love are the seminar functionality (with attendance tracking and resource management), GDPR compliance, learning plans (allowing users or managers to build a customised syllabus of courses for each user or team) and the detailed reporting (completion reports and grades)… all of which are customisable. Totara Learn offers an enhanced platform for learning, not just standard courseware delivery. Because there are so many features of Totara Learn and so much extensibility, it can be difficult for new administrators to get to grips with the system. Most administration teams will need some form of training. Of course, the good news is that Totara spend a great deal of time training and supporting their partners like us (BuildEmpire), so clients have the advantage of being able to work with a partner to avoid this problem. One area for development for Totara would be to extend their platform further than just an LMS. We meet with clients who regularly need an LMS as part of a CMS, or who need an LMS to have a shop front, or a product catalogue. Currently, we are happy to integrate these additional platforms to sit alongside Totara Learn for our clients, but it is food for thought for Totara. Totara Learn is a fully-fledged solution for learning management. There is very little you will want it to do that it cannot (within learning management!). If there are extra features you need, then this is where we come in! Totara is also very inexpensive to try out in the grand scheme of things. If you are considering Totara Learn as an LMS then get in touch, we don’t think you will be disappointed. We are currently using Totara Learn for both commercial and university clients. Totara Learn is adaptable enough to be used in the academic sector as well as for staff training, where it is most popular. As I eluded to before, we have built Totara Learn on top of ecommerce platforms for clients, as well as developing a sophisticated cloud-based authoring tool (called thirst.io) to fit within Totara Learn as a plug-in. Totara Learn helps us offer clients a seamless eLearning portal, entirely customised for their needs. Totara Learn is the backbone to many of our solutions. "An affordable and flexible LMS "
The report builder is probably the best functionality of Totara. With another LMS, you could spend hours building different bespoke reports to give you and/or the managers above you the information they need. But with Totara Learn, you can schedule pre-built and custom reports to send automatically, saving you a huge amount of time and effort. There are really a lot of benefits to Totara compared to other truly expensive LMS providers, so it's hard to pick out any disadvantages. If you buy Totara straight off-the-shelf, it needs a bit of magic to make it look pretty, but most Totara partners will brand it with you colours and logos as a basic level package and it makes the LMS look really attractive. It has been particularly good at managing online and offline training all in one system - a vital resource that also saves a lot of admin time. At Xtractor we really appreciate the flexibility of Totara Learn. We've implemented Totara for a rich variety of purposes, with user bases ranging from less than 100 users to high above 50 000. Both we and our clients also like the flexibility in terms of starting up quick and small, and then being able to smoothly move on into a larger scope at a later stage. This is supported both by a rich and highly configurable feature set, as well as as the wide range of API:s and plugins available. On a more detailed level, some specific features we love would be *dynamic audiences* - making it possible to pin point the right learning, content and features to the right users, *fully responsive and accessible UX" - works great on any device, *dashboards and reports* - supports the right information to the right person in a flexible and user friendly way. As a Totara partner, we actually also do like the *freedom* that our clients experience, their easy exit possibilities (to move to another partner or do it themselves) really keeps us at our toes. And, did I mention *flexibility*..? As a new admin, the first look at Totara Learn's capabilities can be a bit frightening - it is a feature rich platform with lots of possibilities. The trick to solve this is to have a dialogue with an experienced person, such as one of our LMS-consultants, who can guide you through the overall possibilities and, more importantly, guide you into the areas that are most relevant for you. The standard look'n'feel of Totara 'out-of-the-box' could be a bit more inspiring, but that's something that can easily be fixed and adapted into your organisation's brand. Look into it, try it out, get in touch..! Our clients are solving various business problems every day - ranging from basic 'launch-and-track' of learning to sophisticated blended learning programs, compliance training and integrated solutions where Totara is tightly connected to systems such as CRM, ERP and HR-systems. For us as a partner, our collaboration with Totara has really opened our eyes for the many advantages of open source based learning, where we're now actively involved not only in Totara but also in learning tools such as Adapt and H5P. "Totara Learn: LMS for the future"
Competency frameworks: The competency framework allows for self- and manager assessment as well as competency gap analysis for role based competencies. Appraisals: This is a feature that many companies require but there a lot of expensive tools that provide a solution but that is only available during office hours. With the feature being integrated in Totara Learn, it makes it easy for managers and learners to access the tool after hours. Moodle based: As the system is based on Moodle, the customers can identify with the product. The feature also ensures that there is a big online user community and collaboration provides one with quick solutions. The online help files are also very good in providing basic guidance. Easy implementation: The system is easy to implement and turnaround time is quick. Customization: As it is open source, the system lends itself perfectly to be customised to suit the needs of the customer. Customers also change regularly and it makes it easy to comply with the changing needs. Badges and Custom Certificates: This feature is a very popular feature that seems to promote learning and competition among learners. Easy to use: The interface is intuitive a learners are able to easily navigate the various sections the LMS provides. The reporting feature is limited in it's functionality. There is a requirement to create comprehensive government reporting which requires data from various sections of the LMS into one report. This functionality is limited. One is however able to use third Party reporting software to extract the data and build the required reports. I am however sure that this issue will be addressed in future. We have also found that there is a need for a lower subscriptions in what we refer to as "Tier 2" and "Tier 3" customers. They want a LMS but does not have the budget for an expensive version. They do however also want to utilise some of the features not offered by a Moodle implementation. Ensure a proper governance framework exists to guide all issues related to learning and the integration of the LMS into the business. Stakeholder involvement in decisions will ensure that business takes ownership of the LMS. The LMS provides a platform for users to engage in self-paced learning. It has provided the learning team with a tool to establish a learning culture in the organisation. It has also highlighted the necessity of establishing a good learning governance framework. The basic reporting does provide the client with some information which would have otherwise been extracted and maintained in a excel sheet. What do we like best about Totara Learn here at Team Chambury? It's Flexibility; we can 'bend' Totara to meet our customer needs. Its open source and our developers can manipulate the code to make it truly reflect local needs. It's Highly Configurable; there are so many configuration options we can make the LMS work exactly as our customers want stying within core functionality. It's identity; the LMS can be made to look exactly like the customers website, reflect local branding and truly enable their staff to not raise they are in another system, This makes user engagement so much higher and easier. It's Integration capabilities; linking to other internal systems providing single authentication from any device anywhere. Linking to HR systems to update user data and management hierarchies as often as required. We can also send data to external systems. It's Online course building tools; you don't need fancy expensive authoring tools, Totara's core activity builder allows you to create interactive attractive content easily without any authoring experience. Yes you can upload or link to SCORM objects, but its not necessary. It's Cost Effective; our customers don't like huge invoices that they would get with proprietary systems. It fits with public sector budgets. It works on any device. Anywhere. It's support. Even though it's open source there is a fully dedicated development team and technical support meaning that if, and I say if we get any issues, they are fixed, tested and released very quick. We get bug, security and new feature patches every month and a major upgrade every year - in 2018 we are getting two .! We don't dislike much about Totara Learn. In fact I can't think of anything at all that we don't like. if you want increased compliance, full user engagement and a team that understand what you want. Get in touch ..! User engagement. Staff who work for our customer love Totara. Over 90% log in every few weeks. Professional development opportunities. We can manage CPD and revalidation processes in Totara. Professionals love it. It makes the LMS belong them to them and not just a tool to do the day to day training on. Accessibility. So simple. So easy. In my eyes, over the past 5 years of using Totara Learn, I have been pleasantly surprised by the growing functionality available to organizations. Both Totara and the Partners that implement Totara can add, developments, plugins, integrations to the platform at will. If there is an organizational requirement for a particular functionality, there is almost always a way to achieve this. We love the power that we have to take control of our Information Security, being able to host the platform in any way we see fit. Whether that is an onsite self-hosted solution or a fully hosted solution by a partner who is fully secure and show a history of penetration testing. Organizations can feel confident that their information is safe and secure without the hardship of having to being tied down to an inflexible LMS. No LMS is perfect, so we are very much looking forward to improvements around the reporting within the Performance Management functionality to improve. With some development work and time, co-funded by a group of clients, I am sure we can make this powerful functionality even more robust. When considering Totara Learn, ensure that you pick the right partner to ensure your experience. Any partner can build developments you require at a cost. So ensuring the best customer service and the people to work with during your implementation and ongoing development of the product throughout the life cycle of your system will ensure you have the best possible experience. Listen to your partner about Best Practice on how to make the implementation successful, they have experience doing this and know what works to ensure the best possible journey. Many organizations have solved a multitude of challenges using Totara Learn exclusively and in conjunction with other systems. Healthcare has especially benefited from the audience targeting for compliance training in streamlining processes to make this function work a lot more efficiently. Within organizations there is often the issue of ensuring the HR data is where is needs to be to ensure the LMS can work to optimal level. Due to the nature of the system, we have been able to use implementations as a tool to cleanse a lot of data and improve processes, from management hierarchies, induction workflows, study leave, CPD, professional certifications, blended learning leadership programs, setting annual competencies, appraisal workflows and many other facets of the L&D function. Many L&D departments have been so capable of solving business challenges with Totara Learn that other departments, like HR, IT and IM&T have come to the L&D department for help! "BuildEmpire Review: we tend to love the extensibility of Totara Learn"
Totara Learn is nice for obtaining purchasers up and running with a sophisticated Learning Management System quickly. At Build Empire, we tend to build custom solutions for our purchasers, and therefore the proven fact that Totara Learn has some superb options already means that we are able to take the technology even additional - in significantly less time than ranging from scratch. Examples of options we tend to love square measure the seminar practicality (with attending chase and resource management), GDPR compliance, learning plans (allowing users or managers to create a personalized information of courses for every user or team) and therefore the elaborated reportage (completion reports and grades)... all of that square measure customizable. Totara Learn offers an increased platform for learning, not simply normal courseware delivery. Because there square measure such a big amount of options of Totara Learn so abundant extensibility, it will be troublesome for brand spanking new directors to induce to grips with the system. Most administration groups can want some sort of coaching. Of course, the great news is that Totara pay a good deal of your time coaching and supporting their partners like United States (BuildEmpire), therefore purchasers have the advantage of having the ability to figure with a partner to avoid this downside. We square measure presently victimization Totara Learn for each industrial and university purchasers. Totara Learn is flexible enough to be utilized in the tutorial sector also as for employees coaching, wherever it's most well liked. As I eluded to before, we've engineered Totara Learn on high of ecommerce platforms for purchasers, also as developing a classy cloud-based authoring tool (called thirst.io) to suit among Totara Learn as a plug-in. Totara Learn helps United States provide purchasers a seamless eLearning portal, entirely tailor-made for his or her desires. Totara Learn is that the backbone to several of our solutions. "Actua Solutions Review (Jordi Aubia)"
One of the best things of Totara is the position and organization hierarchies, and how it is imported from the client’s CRM. It allows us to create and focus to very concrete audiences. Other great features are the possibility to manage teams (the manager role), the possibility to create programs, certifications and recertification and all the Appraisals and Feedback 360º. Sometimes, all the previous work to set up all the options that automates functions are little laborious. Another thing that we miss is a mobile app. Even so, it's important to say that the responsive design of Totara learn allows you to use it in the mobile phone. The main business problems that Totara Learn solves to our clients are all the related with corporate training and appraisals. Unlike other LMSs, Totara is focused in corporate learning, and the medium and big companies we work with discover a lot of features that are music to their ears. For example, HR Import and the opportunity to transfer all their hierarchy of the company to their LMS, the possibility to evaluate performance of their team in the same platform where they are doing their training or the possibility to prepare programs and, especially, all the notifications that programs allow. "Highly flexible, scalable, and feature rich Corporate LMS"
Feature rich and yet highly flexible to align to a user's specific functional requirements. Totara Learn offers the added flexibility of being hosted locally or by one of their partners in the cloud. Pretty cost effective solution that allows subscribers to invest their learning dollars to areas most impactful (UI, hosting, customizations, integrations, etc) . The out of the box UI is pretty standard, but can be addressed by alternative themes options (Moodle and from Community) and/or UI customizations. I recommend speaking with a couple different Totara partners. Each partner is pretty unique in their offering and presents subscribers a range of pricing and partner experience. I have had clients leverage the Totara Learn platform to solve business needs across employee training and development, compliance training, performance management, certification, product training, as well as continuing professional education. "Actua Solutions (Totara Partner based in Spain)"
We love the Openness and the Freedom that Totara Learn offers. We are truly believers of the Open Source potential in the elearning sector even though many companies a decade ago were cautious about this technology because of the mistrust generated by unlicensed products. In this sense, since the beginning of our business we have trusted the Open Source Solutions, the User Communities that support them and the potential of collaboration to develop products that add value to the market. We believe that OS Solutions give users freedom and therefore we believe in Open Source solutions not only from a technical point of view, but also ethical. A good example of this commitment to Open Source Solutions is our Totara Learn partnership. Certainly, we have opted for an OS product because we believe in the potential of free and open source software. Also, a crucial aspect of this technology is the possibility of great customization of the product at a reasonable cost. On the other hand, in terms of functionality, Totara covers several functionalities that lack in Moodle, like HR Import, Hierarchies, Dynamic Audiences and Programs. These are added value to cover most of the Corporate Learning processes that Organizations demand and allow to automatise different workflows. Totara Learn is fully responsive but there's one thing that they don't offer yet and that's an official product for mobile devices. But do not panic: Totara confirmed that they'll work on a mobile app which will be released in the next few months. Corporate Learning is requesting a demanding solution to accomplish their training goals. We help organizations to implement their Corporate Learning projects based in Totara Learn. We offer solutions in two main levels: pedagogical and technological solutions. Thus, in some cases our job is to offer our expertise to implement the instructional design of courses according to the training and user needs. This part of the work is amazing when we act as a UX Consultants focused in the User Learning Experience. We love users who are happy enjoying their training. On the other level, we develop plugins and Edtech solutions to cover different needs: integrations with other systems, new plugins, Web services to communicate data to other systems, etc. This part is also amazing because implies to understand clients and develop new tech solutions to cover thei needs. "Truly an LMS in a class by itself"
1) UNIQUELY OPEN-SOURCE: Totara in my opinion is the best of both worlds being open source yet backed by a profitable long standing company and supported by a very strong and broad Totara partner network. 2) ROOT IN TRUE LEARNING: Totara (Moodle) was at inception built with Universities in mind rather than corporate compliance training. As a result, its capabilities are far more empowering than large corporate LMS solutions. At the same time, it still can be CFR Part 11 validated and used within business. 3) Cost - Our solution is global and open to all of our potential customers. No license fees. Only a low cost SLA & subscription with a Totara partner for support. I have been using Totara for six years now. I am surprised to say that I like the solution more and more each successive year. I still have not leveraged all that it can do. The built-in exam tool is perhaps the most powerful around but there is still room for further improvement from a usability standpoint. Reporting is powerful but again I would like to see even more capabilities in this area. Out of the box, it is not very pretty but it is easy to purchase an amazing theme and also supports multi-tenancy for themes. Find a Totara premium partner. Check out multiple partners to find the one that fits you best. Although we are in the US, we choose a partner out of the UK that also had an office in the US. This has worked exceptionally well. Used to provide training to very large global audience both internal and external. Our costs have gone way down, with the help of the Totara partner we are able to administrate it ourselves and can publish courses in a third of the time. Our solution won a prestigious award within our company because of the benefits achieved. As a consultant for Totara LMS I would totally recommend Totara to other customers. In short... The Downside: - Very complex to learn for people who do not have any technical understanding - Usability very low because of too complex site-structure and permission management - Design very simple and overloaded with blocks, nobody knows what they are for in the first place - Documentation partially very poor, especially when it comes down to programming and adding advanced features - Many useful features are still lacking some important settings for establishing real logical learning workflows The Upside: + Very rich of standard features that make it easy to establish simple learning workflows + Open Source let the system be flexible by adding your own plugins and adjusting the system core to your needs + Great support in fixing bugs and advancing the system with new features (Evergreen) + Continuous Development All in all I would say it still needs some improvement, although I know that some requests are not as easy to programm as it might seem in the beginning. It is still a great tool, that can though still be adjusted to whatever someone likes it to be. If you have on the one side people who see the potential of TotaraLMS and have a great idea of how it can be used and on the other side people who can develop within that system, you can accomplish great things and have tremendous success by offering that tool to customers. Being free may not have the service and attention problems of a proprietary software, this is why you need the support of software specialists for problems that may arise, or solve any inconvenience of the stability of the program. Totara is very flexible and easy to use. It provides many features that other LMSs don't have. The report building feature is top notch. You don' t have to be a database expert to create reports. It also allows you to brand the LMS easily. Learning Plans are built into the LMS, so creating things like Individual Development Plans were a breeze. Totara is one of the most complete learning applications for the business world, noting the great detail that it is free, extremely complete where you can manage face-to-face and non-face-to-face training, evaluate the performance of workers, create reports on the progress of each employee to evaluate their evolution, strengths and devilities and all with a very comfortable interface and all this for a fraction of the cost of a private application, as it is focused on the corporate area its functionalities are focused on the development of complete professionals, to teach them the rules of business and strengthen your company, use it!!!! "One stop for all your LMS needs"
Totara offers a wide range of options that one can choose and select from. Other than this the software is very flexible and also works on open source which allows the admin to make changes according to their needs. It lacks the option where the changes made in open source should be available for other users to use for reference or use according to their needs. But it is very easy to customize your own learning path. I use this product due to its flexibility and the open source feature which allows me to get the most of this software and use it according to my needs and requirements. I love how configurable this LMS is. Excellent blended learning and sophisticated learner journey functionality. Impressive integration abilities. The audiences feature is particularly powerful, in combination with certifications and programmes. Totara must be the best value LMS out there today, taking into account feature-richness, in-built APIs, and configurability. The theming potential is huge, but it could be easier for administrators to configure. The appraisal features are comparatively new, and there's scope for improvement there. Totara is easily capable of managing the compliance needs of an Enterprise organisation, with large, diverse workforces, and complex regulatory requirements. "Cheaper and better option in the market"
As compared to the other LMS softwares out there, Totara provides me with better services and it is easier to use. The open source feature of Totara allows us to customize and use it to our best usage. It can use a more comprehensive update system that keeps on updating the bugs and issues being faced in different areas of the software. It is an easy way to train and educate the employees using technology and its very cost effective as compared to other options. "Offers a fresh and attractive look"
Totara offers its users a fresh and cool look which attracts the employees and also keep their attention retained and helps keep their vision and brain engaged in their cool layout. The fact that it does not has many built in options for customization but still the themes and personalization features offered are all very charming. I have been using this software for quite some time and the overall performance and skills of my employees have improved and they all equally like this software. It's worth working with a provider to implement the system. Start off small and then add the extra features, the more confident you become in the system. Being able to create multiple organisations within the system. I like how i can assign a manager to a set of users, they can also then receive automated reports on an ongoing basis. I like the fact that I can access everything in one place and being able to extract essential information to assure the business. As an administrator of the system, it is often frustrating having to log out and in when you log in as another user. I think searching for an individual could be easier too. Trial it, like it and buy it! I've not worked with any other system like Totara but have the utmost faith in its capabilities. Compliance levels for training, it benefits the organisation tremendously that we can evidence our compliance at speed. "Takes the whole team together"
It has an interactive and open system that makes the whole learning process a team effort for the employees and also aid in improving their interpersonal relations and creates a healthy learning environment. It needs to add multiple user login along with admin log in options. But all over it is an excellent software available today. By using this software not only my employees improves themselves in terms of team building and energizing their every day tasks. "The most flexible LMS in the market"
Totara Learn give you the possibility of adapt the system according to your business objectives and users circunstances. Most of the opportunities for creating a better solution are been applied at this moment. Try Totara as this is the only Open Source LMS. We help clients in LATAM by implementing and customizing Totara Learn according to their needs. Communication with learner is open . Forums are very engaging tool. Plans are very useful as well as goals. The custom language page , the hard coded notifications . No link between declare interest and attending already tbe events in the past . "Totara Learn is an efficient learning platform with unlimited possibilities "
The Flexibility and personalised plans. If you can do the investment Totara is a platform that will give please your learning solutions and evolve with technologies and time. 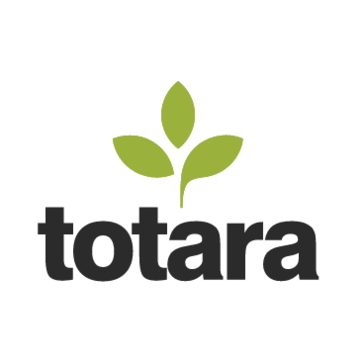 We are actually using Totara to help organizations re design their learning ecosystems. I enjoyed the fact that Totara is flexible to suit the needs we required. It was easy to navigate and create the reports we needed. * We monitor all Totara Learn reviews to prevent fraudulent reviews and keep review quality high. We do not post reviews by company employees or direct competitors. Validated reviews require the user to submit a screenshot of the product containing their user ID, in order to verify a user is an actual user of the product. Hi there! Are you looking to implement a solution like Totara Learn?